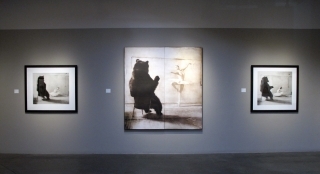 "A Taste for Russian Ballet"
Peter Fetterman Gallery is pleased to present an exhibition of photographic prints from Russian artist Gregori Maiofis. 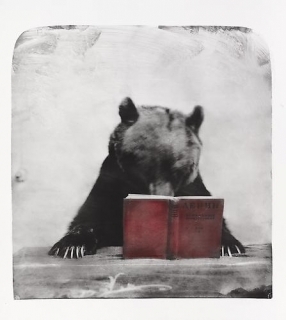 The exhibition is the first for the artist at the gallery and includes a curated selection of large-scale Bromoil prints from the series Proverbs and the debut of several new works. In the series “Proverbs” (Monograph available, Nazraeli Press, 2014) the artist uses proverb texts of various origins and visually interprets and conceptualizes them in whimsical staged compositions. Often working with trained animals including elephants, monkeys and predominantly a bear named Funt, Maiofis creates a new reality of interplay between human and animal. 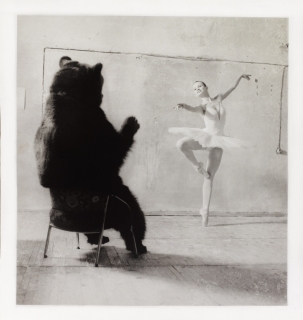 Several of the prints on view depict a dialogue of ballet between a Russian ballerina and the bear who appears thoroughly enthused by the performance before him. Maiofis attended the Repin Fine Arts Academy, St. Petersburg where he studied old masters before pursuing work in oil painting. In 1991 Maiofis moved to the Los Angeles to expand his cultural exposure and further develop his practice before he returned to St. Petersburg. 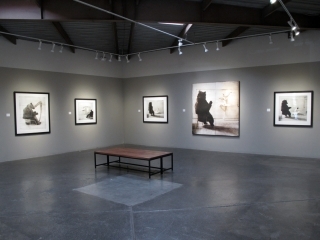 Since 1989, Maiofis has had solo exhibitions in Russia, the United States, and across Europe including the George Eastman House, Rochester, the Santa Barbara Museum of Art, Musee de I’Elysee, Lausanne, and the Multimedia Art Museum, Moscow. His work is many museum and private collections including the Los Angeles County Museum of Art, Museum of Fine Arts, Houston, Museum of Modern Art, Moscow, the Novy Museum, St. Petersburg, the Santa Barbara Museum of Art, California, Sephiroth Foundation, Zurich, Societe Generale Private Banking, Geneva, and the Museum of Modern Art, Rio de Janeiro among others. 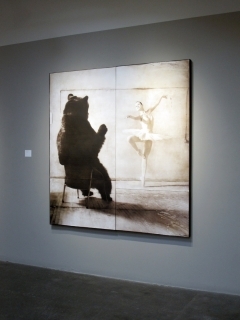 Maiofis is based in Saint Petersburg, Russia and Los Angeles, California.